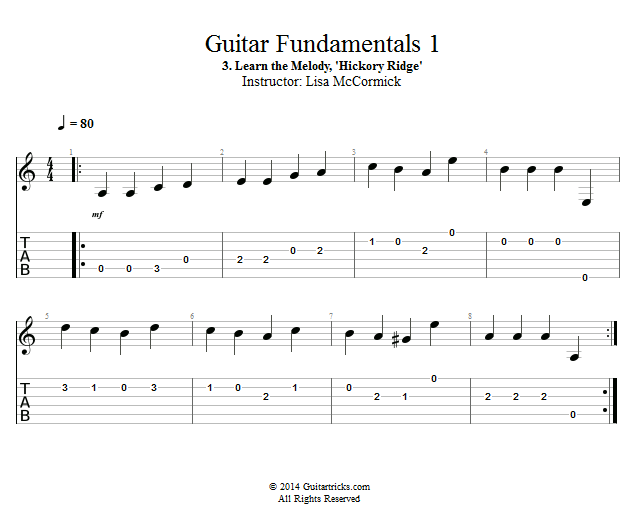 Let's try learning another melody, using tablature as our guide. Remember to keep an eye on the tone of your notes, and the positioning of your hands. Proper positioning will make getting good tone all that much easier.